The Dacia Arena, better known as Stadio Friuli, opened in the 1970s. 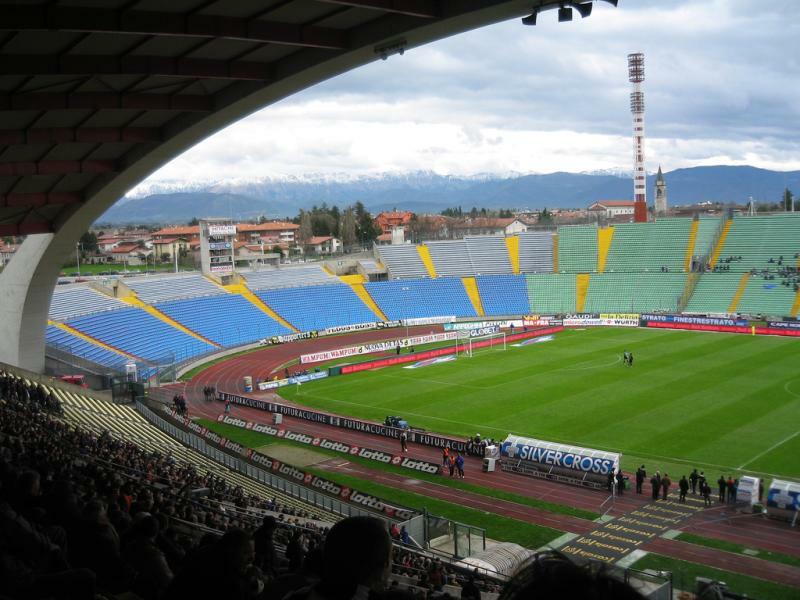 It replaced Udinese’s old Stadio Moretti, which had become too small for the club. 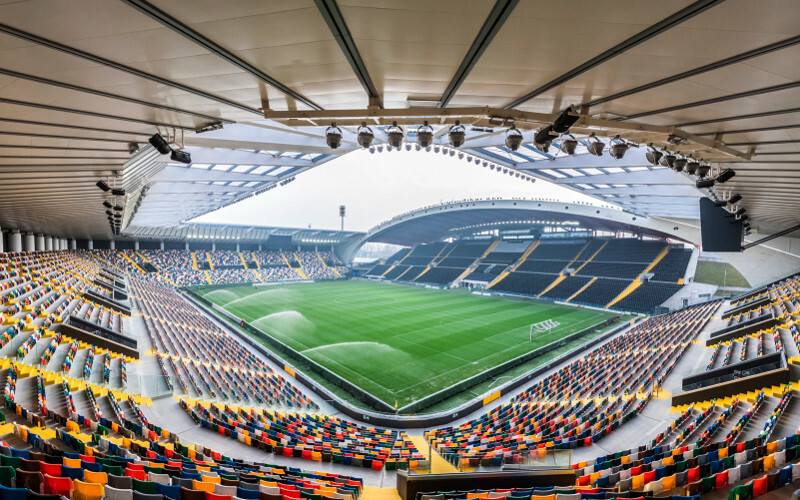 Construction of the new stadium began in 1971, and Stadio Friuli officially opened on 26 September 1976 with a match between Udinese and Seregno. The stadium got selected as one of the playing venues of the 1990 World Cup, for which it received an extensive refurbishment that reduced capacity from a maximum of 41,652 to 36,000. During the World Cup, it hosted three first round group matches. Over the next two decades, the state of the stadium slowly deteriorated and capacity dropped to just over 30,000 following safety measures, though the club rarely filled it to capacity. 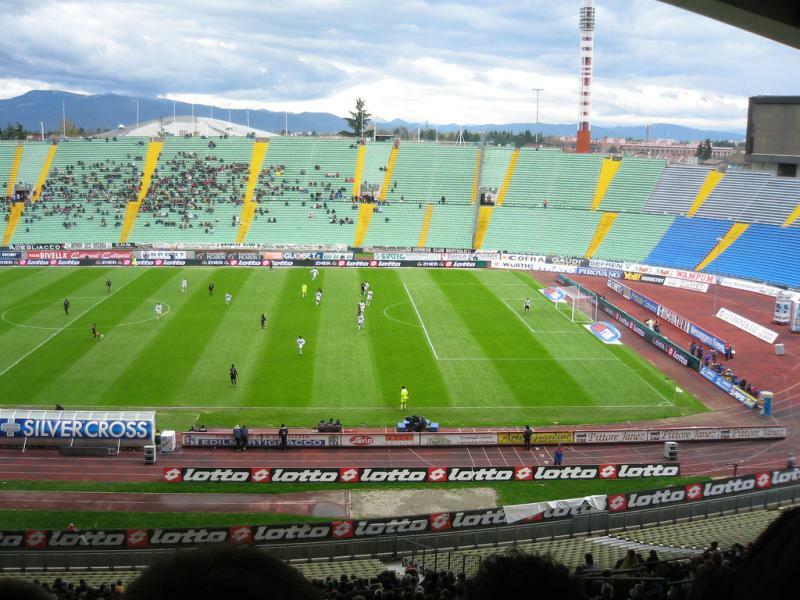 In the summer of 2012, Udinese therefore presented plans for the redevelopment of Stadio Friuli into a modern arena with a lower capacity of 25,000 seats. The plans included the removal of the athletics track and construction of three new covered stands in rectangular shape. The characteristic main stand would remain standing. The club received planning permission in 2013 and started building works on the Curva Nord in the summer of 2013. It completed the works early 2016. At the same time, the stadium got renamed Dacia Arena following a sponsorship deal. The Dacia Arena is one of the few stadiums in Italy that is owned by the club. Stadio Friuli is located in the north-east of the city of Udine at slightly more than 3 kilometres from the city centre. The stadium lies adjacent to the A-23 motorway, which makes it easy to get to by car. Take exit Udine Stadio Friuli. Bus 9 connects the stadium with the central railway station in Udinese’s city centre. Buses leave regularly and the trip takes approximately 20 minutes. Get off at Via Mainerio. Stadio Friuli is located on the edge of the city of Udine in an area that is a mix of residential houses and agriculture. While you will be able to find the odd local restaurant, there are few eating and drinking options, which is therefore better be done in Udine’s city centre. There are neither any hotels near Stadio Friuli, but Udine’s centre, which is not very touristic, offers about a dozen decent options to choose from. 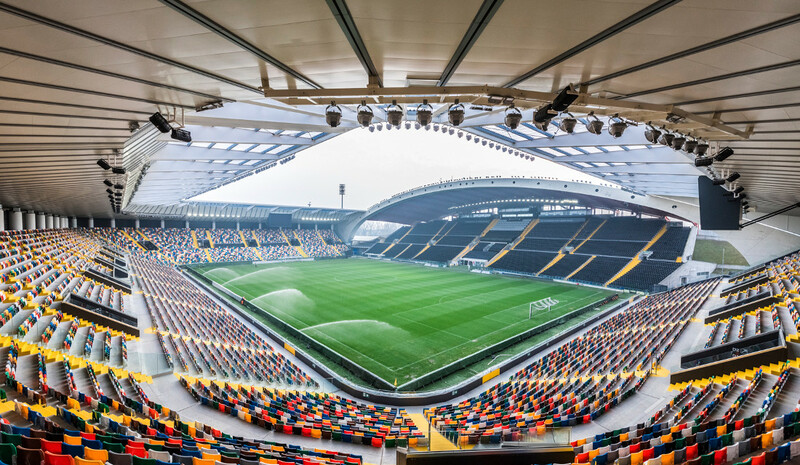 Tickets for Udinese games can be bought online through Listicket, in person at the Udinese Store at the stadium or at the club store in Udine’s city centre (Via Portanuova 1), or at one of the Udinese Point outlets. Udinese sell out a few high profile matches per season, typically those against the Milan teams and Juventus, but otherwise tickets should be easily available. Ticket prices tend to vary from €10.00 for a seat at one of the curves to €60.00 for a central seat at the main stand. Expect to pay at least €25.00 for a high-profile match. Udinese.it – Official website of Udinese Calcio. Turismofvg.it – Official guide to the city of Udine. Saf.ud.it – Public transport information and journey planner for the Udine area.